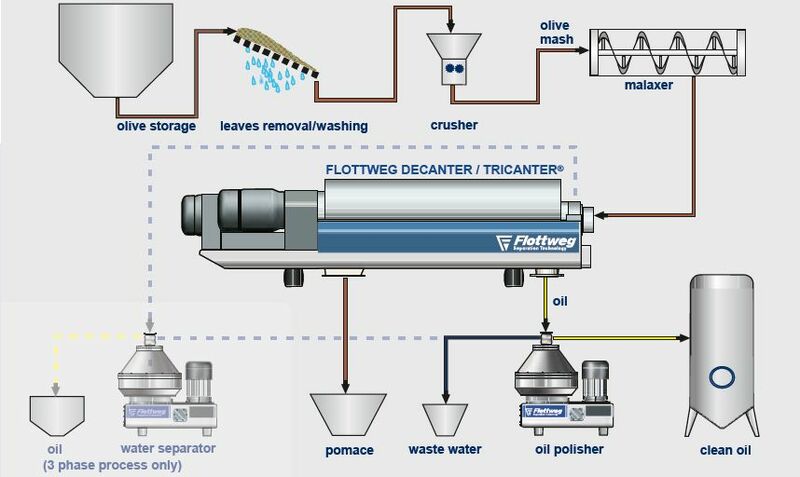 For more than 40 years now, Flottweg has used decanters, Tricanter® machines and separators for manufacturing and extracting olive oil. The process consists of the 1st and 2nd extraction. Flottweg centrifuges can be found in all countries where olive oil is manufactured – e.g. Spain, Italy, Greece, North Africa, Turkey, Syria, Australia and even in China. In olive oil manufacture, what counts is high yield, outstanding quality as well as low process and energy costs. This can only be achieved by using a centrifuge to extract the olive oil. Put your trust in Flottweg’s decades of experience, and specially adapted machines for manufacturing olive oil. 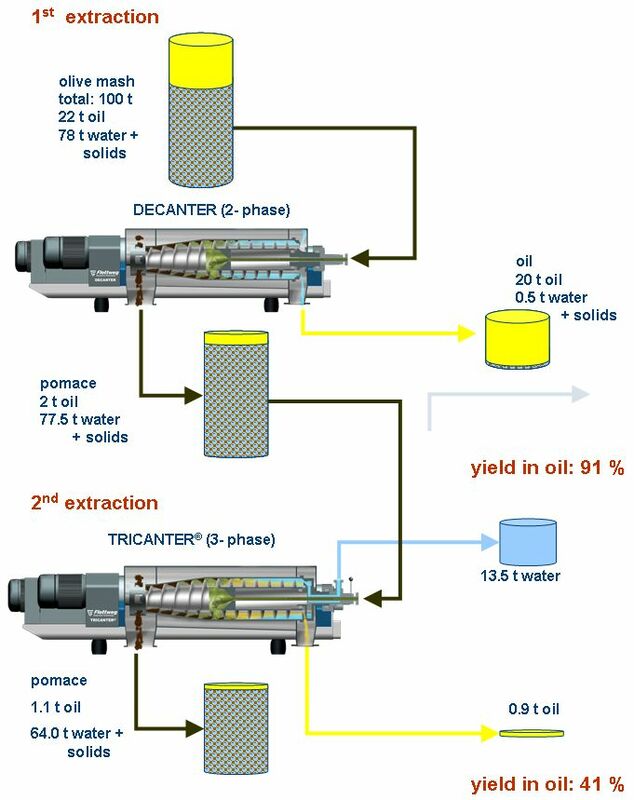 Depending on the olives and processing, the decanter or Tricanter® can extract between 85 and 90% of the olive oil in the 1st extraction. The yield from olive oil manufacture can be increased even further with a 2nd extraction. The olive oil yield increases to as much as 96% by combining the 1st and 2nd extractions.